Whether it’s writing, scrap-booking, painting, music, photography, reading or sewing, everyone deserves an inspirational space dedicated to their creative downtime. Albert Einstein said ‘Creativity is intelligence having fun’ and we agree, finding the time and the space to be creative in the time-pressured stressful mad rush of our world is so important to our overall well being. Repurpose a grownup child’s bedroom, subdivide a living space or create a multipurpose home office to design the perfect hobby or craft room. 1. 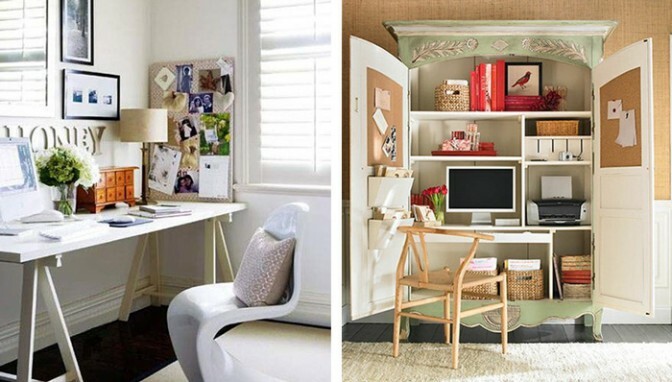 Prioritise your creativity and create a special place for hobbies and crafts. Choose a room in your home or an area that has good natural light and is comfortable. Opt for window finishes that give you ultimate control over lighting, ventilation and privacy; giving you maximum natural light when needed for creating art or doing fine detail work and complete privacy when you need to do focused work such as writing or research. 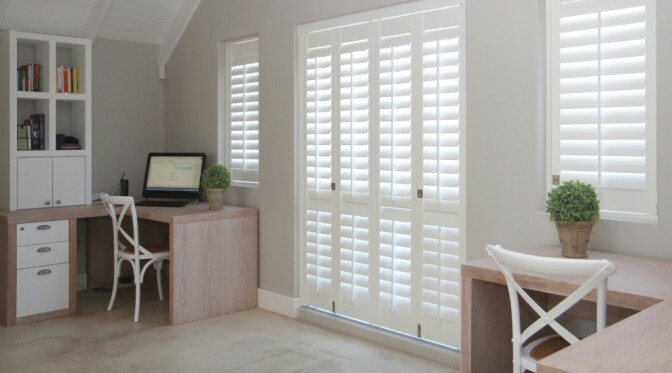 Shutters and blinds are ideal; with a simple twist of the louvres a breeze can be directed and natural light allowed in or blocked out. Open them completely to allow in as much light as possible, and close them for the opposite. 2. Natural light and comfortable indoor temperature are critical when creating. Have your sources of inspiration at hand or on display, whether you use them in your decor scheme or perhaps even use your decor scheme as a source of inspiration. 3. Decorate your hobby room to inspire your creativity. Have everything you need within easy reach so your creativity is uninterrupted by having to look for things. Use clever cost-effective storage solutions such as covered boxes, jars etc. If you do not have the luxury of a dedicated room for your hobbies and crafts look for an unused corner to build a simple workstation or convert a wardrobe or old cupboard into a compact working and storage area. 5. Use your creativity to create the perfect hobby area. Wherever you find the space to create your perfect hobby or craft room, let your creative juices flow and have fun!